The McKesson Women in IT Scholarship is valued at €3000 per year. 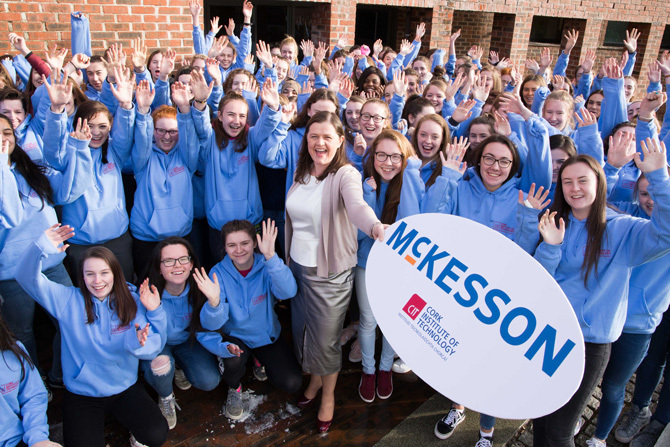 The McKesson Women in IT Scholarship, valued at €3000 per year, will be awarded to the Leaving Certificate student with the highest CAO points entering a programme in the Department of Computer Science. The scholarship will be paid to the recipient for each year of her undergraduate degree programme. Mr Lankford has led the transformation of McKesson Cork for the last 10 years. He has grown it to a shared service organisation, providing business and corporate solutions for the international McKesson community. We are delighted to announce the first recipients of the recently launched McKesson - Women in IT Scholarship scheme. Thursday 22nd March 2018 - Pictured at the McKesson Women in IT presentation are Kathy McElligott, Chief Technology Officer, Chief Information Officer and Executive Vice President of McKesson Corporation, Rory Lankford, Vice President and General Manager of McKesson Cork, Colm Desmond, Director of IT at McKesson Cork. 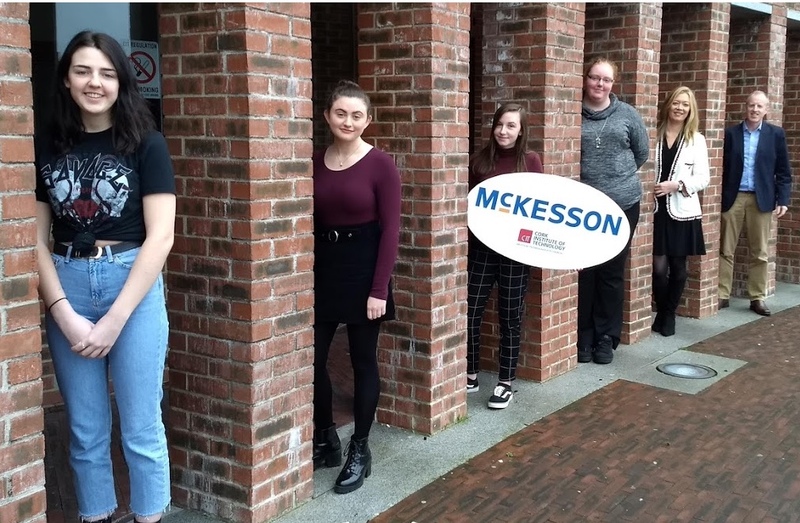 The recepients of the McKesson Scholarships are (L-R), Ciara Hynes, 2nd Year, BSc (Hons) Software Development, Emma Brennan, 1st Year, BSc (Hons) Software Development and Sinead Hegarty, 3rd Year, BSc (Hons) Software Development. The scholarship, valued at €3000 per year, will be awarded to the Leaving Certificate student with the highest CAO points entering a programme in the Department of Computer Science. The scholarship will be paid to the recipient for each year of her undergraduate degree programme. 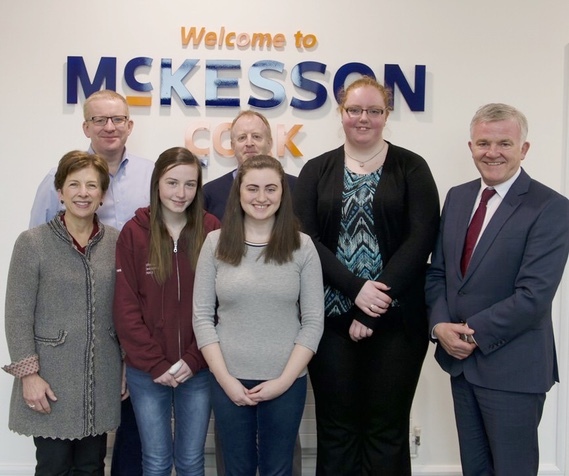 After the announcement in January, McKesson decided to extend the scholarship scheme to existing 1st, 2nd and 3rd year students and as a result we will have four McKesson scholars by next September. We are delighted to announce the addition of Jessica Furlong to the list of McKesson Women in IT Scholars. Current recipients; Jessica Furlong (1st Year), Emma Brennan (2nd Year), Ciara Hynes (3rd Year), Sinead Hegarty (4th Year). Also in the photo are Jacquie Casey and Colm Desmond from McKesson. McKesson who are ranked number 5 in the Fortune 500 list of companies are based in the Airport Business Park in Cork. This morning, Emma, Ciara and Sinead made presentations to Kathy McElligott, Chief Technology Officer, Chief Information Officer and Executive Vice President of McKesson Corporation. According to Forbes, Kathy holds the largest healthcare technology job in the world but this didn't faze our CIT students who each made excellent presentations.